Tarboy is a short animated film made by James and Hania Lee (married). It is simply the best short film I have ever watched. Not only does it have great graphics, voice acting, score, and design, the plot was designed and implemented outstandingly well. The story is short enough that it would take less time to watch it then to explain it, so I entreat you to just go and watch it now, but I will spend a little time talking about the setting. Tarboy is set in a world populated totally by robots; This is used mostly as a graphics device, as the robots tend to act similarly to how you would expect a human to act. 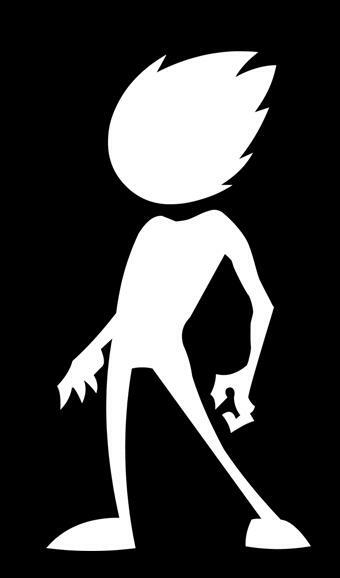 The main protagonist is aptly names Tarboy, as he is made of tar and he is out to get the tyrannical leaders ("fat cats") of this mechanical world. Currently, Tarboy 2 is in production. As far as I know no release date has been given, and only a few details have been provided. While little can be found online about James Lee, the talented Hania Lee (pronounced "Haa-nya") has many active electronic abodes. Primarily she is a musician, and has a quite a few award winning songs on newgrounds. as well as some videos of her singing and playing piano on youtube. In addition to her selection of free songs, she has a commercially available album titled Cuddle Punch!. She also manages to do the music for a lot of projects; Most recently she worked on the audio to a nice little internet video called Ballgina Safari. 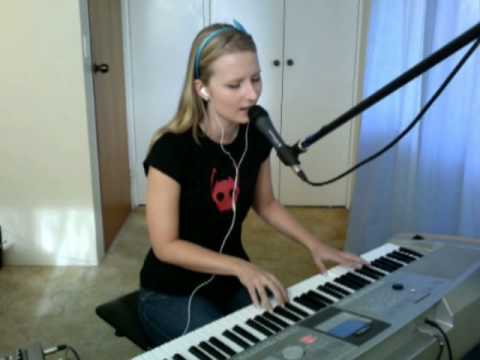 Getting down to the basics, her musical ability; I just love her music and voice. Her collection is surprisingly diverse, while quite a bit of it is romantic/love songs she also has a bunch of songs for comedic/general flash movies and even a few games; She even has one song about necrophilia, which is very creepy. Out of her magnificent library of songs, for me, one stands slightly above the others in at least memorability. This is Come Closer, a romance song with very memorable lyrics. In addition to Tarboy, the development team has also done a few less ambitious films: Popstar, Roller Coaster Junkie, Purged, and Make Snacks not War. Popstar and RCJ are both very good satirical flash films; While Purged is more of a serious short film and MSnW is pretty much an advertisement for Doritos. 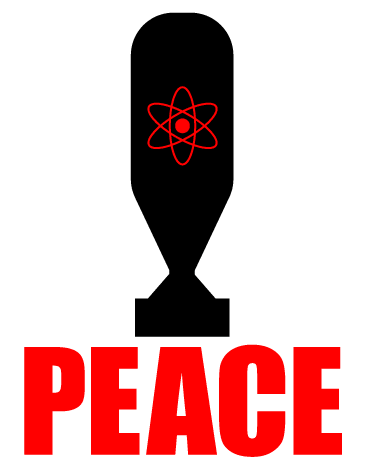 The Cold War documentary series is an extremely in depth look into the cold war, and it better be at 24 episodes all approximately 50 minutes long. Very informative and worth a watch. It is weird and scary how close the planet came to becoming a apocalyptic waste land not all that long ago. Voice acting to me seems very underrated, even by myself. But it can really set the mood and make a game shine above all others if the right voice actors are used. Their have been two points in gaming that I have been wowed by the voice acting, Eternally Us with its unparalleled voice acting from all of its characters, and Sharon Mann in all of the games I have played with her in them. S haron Mann is an amazing voice actress, my personal favourite, and is very unknown (I cannot even find a list of all of her voice acting jobs). In addition to Syberia I have also played the Return to Mysterious Island & Return to Mysterious Island 2: Mina's Fate games (based off of Jules Verne's novel The Mysterious Island) in which she voices the female protagonist Mina. Great games, made even better by her voice acting. Dwarf Fortress is a unique and engrossing indie game by Bay 12 Games. In fact it is the only game, bar World of Warcraft, that I have heard of people avoiding because they do not want to get addicted to it. 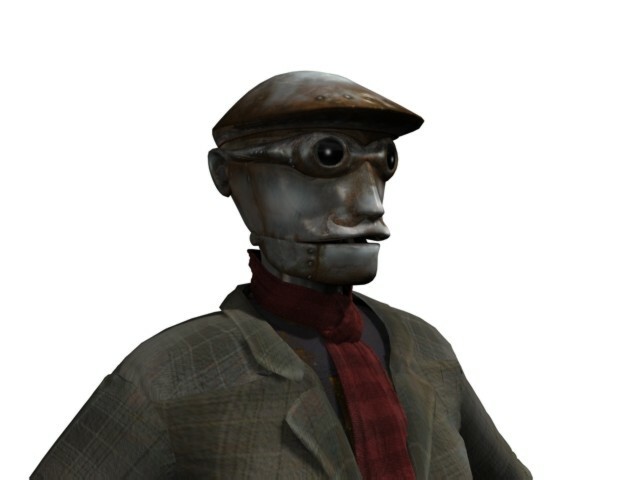 The mechanics are so diverse and involved that pretty much anything can be done in the game; Game maps can be made into computers, stories are created from gameplay sessions, and all the characters have individual personalities and relationships. At its core it is a fantasy city simulation. You control a band of dwarfs embarking on a grand adventure, the creation of a dwarven fortress. Basically you designate tasks and control what dwarfs are able to do what tasks. All dwarfs can do anything, but at varying degree; Over time they acquire more skills and can do faster and better work. These tasks range from planting seeds and engraving walls all the way to patrolling caravan routes and attacking enemies, all of these tasks containing an insane amount of details. 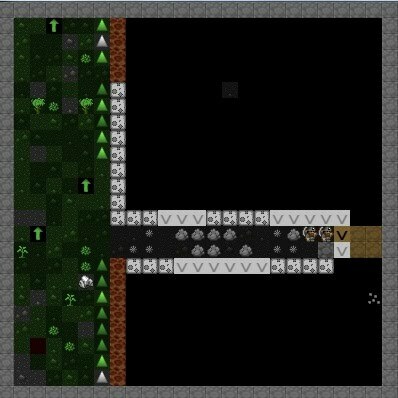 You start with seven dwarfs and over time more are born and migrate into your fortress. Your job is to manage and direct them, which is made easier with nobles. You can elect certain dwarfs to fill noble positions, these will will do a myriad of management jobs from cataloguing your inventory to issuing production orders for you. One of the more interesting parts of Dwarf Fortress are the mechanisms. The dwarfs can set up complicated machines including floodgates, retracting bridges, and traps. In addition to the normal traps, players can set up groups of mechanisms to trap and kill the invaders using water, magma, or other more exotic means. By default the game comes with ASCII art graphics, that I found very hard to read, but luckily their are many great graphics packs and other useful utilities and mods. 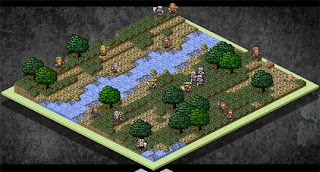 As well as a many useful tutorials [1, 2] to help you get into the complex world of Dwarf Fortress. The tragic but inspiring tale of BronzeMurder (illustrated). An harrowing tale from the Dubious Quality blog. 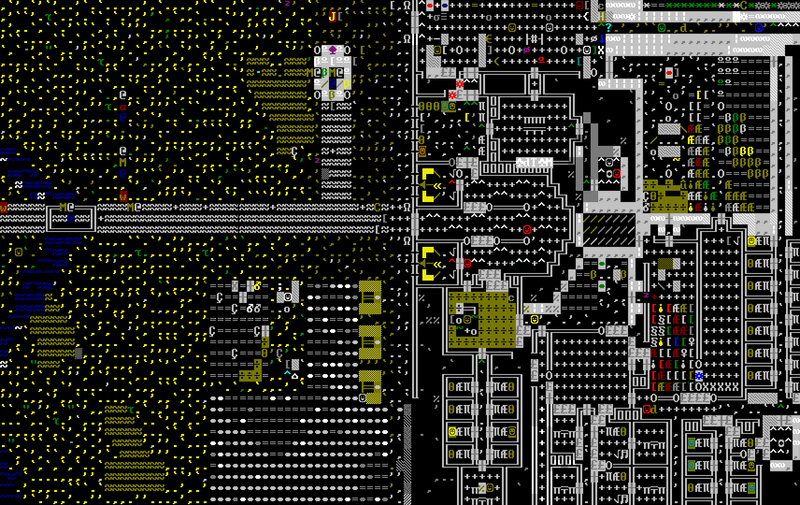 Find more stories of Dwarf Fortress by looking under the category Dwarf Fortress. The Syberia series is one of the most well though of modern point and click adventure games. It was created by Benoît Sokal, author of many great adventure games, most notably Amerzone (1999). It is also worth mentioning that the Syberia series takes place in the Amerzone universe, but no characters or story cross between the two. Currently Syberia I (2002) and II (2004) have been released and Syberia III is planned for release sometime during 2010-2011. all of the games are designed for use on Windows, additionally Syberia I and II are available on PlayStation 2 and Xbox and Syberia III may be released on the PlayStation 3. Additionally Syberia I has been released on some handhelds. 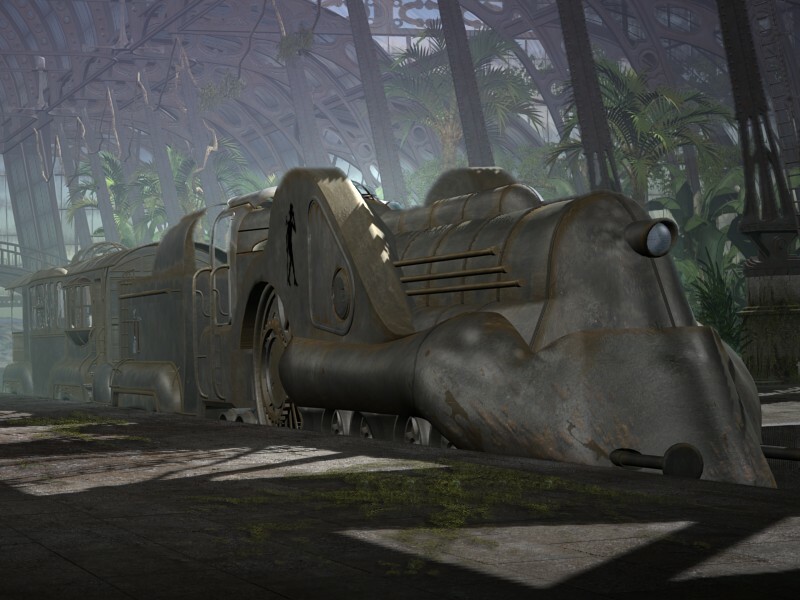 The Syberia series is known for its amazing graphics, story, and interesting characters. 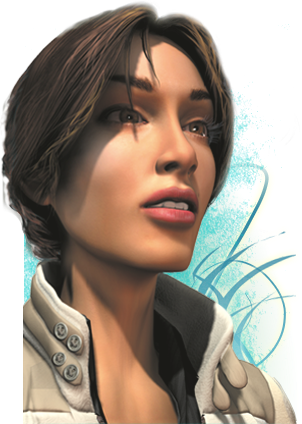 and I particularly love the voice acting talent of Sharon Mann, who plays Kate Walker the lead protagonist. The graphics of Syberia are top notch, but what makes it unique is the art style. It is steampunk without the steam; Most of the devices, tools, and even a train are powered by springs and gears and are called automatons. Additionally, the game is set in Eastern and central Europe and does a wonderful job of expressing the mystery and quiet beauty of its surroundings. The story revolves around Kate Walker's journey across Europe in the foot steps of Hans Voralberg, the famous inventor that made all of the automatons. As she retraces his travels she encounters many of his amazing inventions and some very interesting characters. Subsonic is a free web based music streamer. with it installed on your computer you can access your music anywhere that you have access to the Internet and on any device that has a Flash enabled browser (in addition the iPhone, Android, Windows, Linux, and Mac have specific applications for use with Subsonic). Subsonic works with all stream able audio formats. Additionally, it can use on-the-fly conversion to convert any non stream able format and stream it to the web player. 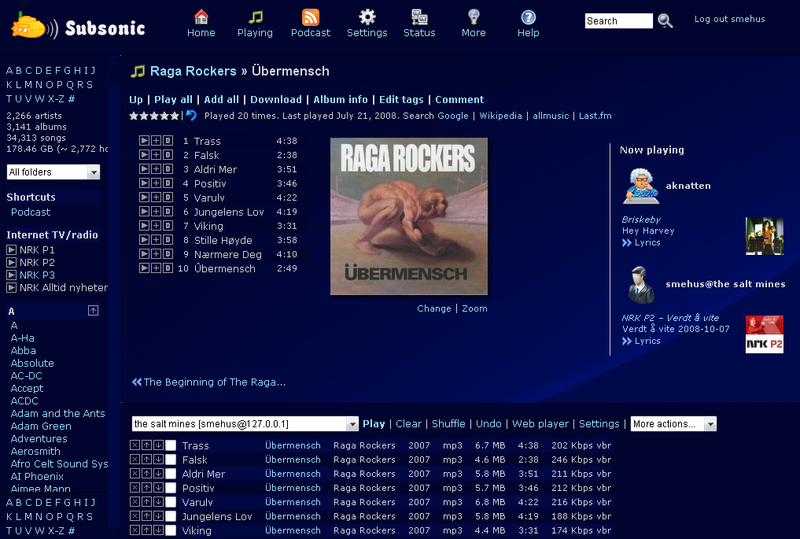 As well as streaming the music to your browser it can also operate in Jukebox mode, allowing you to control what your host computer is playing. Additionally, you can use it to upload any file to your computer. These last two features work particularly well with the robust user account system. 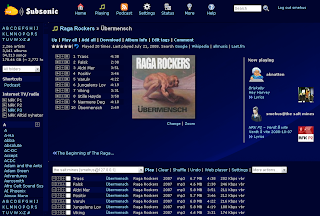 It is easy to set up any number of accounts for yourself or your friends and even includes a IM IRC style chatting system allowing you to collaboratively set up playlists or build a collection of music. While both of these games do fall under the same genre of point and click adventure at the core they are very different games. The Longest Journey is fantasy adventure filled with magic and wonder; while Sanitarium is a dark demented trek into the psyche of a tormented man. If this was back when they were released then I would not be combining these reviews, but now they share something unique in common. And that is that they have both weathered the test of time and come out completely unscathed. Many old games, even very good personal favourites, who are played now seem disappointingly antiquated. 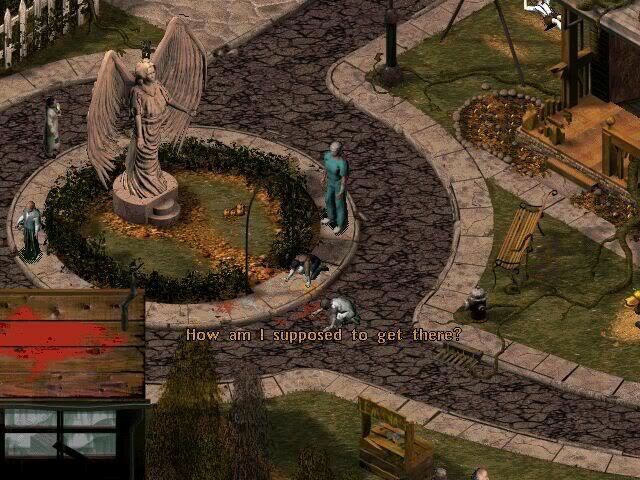 But a few games manage to retain their magic and two of these games are The Longest Journey and Sanitarium. If released today I have confidence that many video game critics would rate both of these games with similar scores as they got over a decade ago. 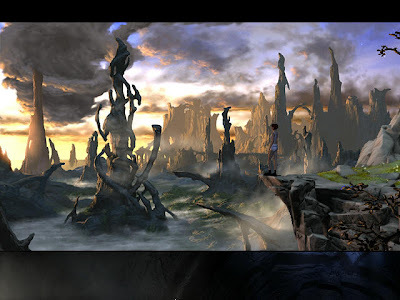 The Longest Journey has been a favourite of mine for quite some time, and without a doubt is one of the best point and click adventure game of all time. It really does a fabulous job of telling an interesting story and drawing you into it. 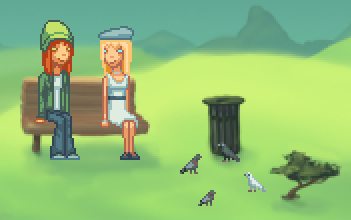 In the game you play as April Ryan, a art student, who is teleported to a alternate world, a world of magic. Their she learns that her world is only one of two parallel worlds (one of technology and one of magic) and they are both in danger of destruction. So she embarks on her quest to save them both. 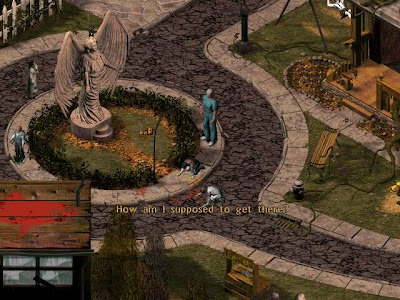 Sanitarium is also a very well though of adventure game, the main different being the story and general theme of the game. Where The Longest Journey is magical Sanitarium is demented, where The Longest Journey fills the player with wonder Sanitarium fills the player with foreboding and confusion. In Sanitarium you play a mental patient "struggling with inner demons, wrestling with soul-wrenching torment, battling to regain even a slippery grip on reality"[Robert Coffey] and remember who he is and what has happened to him. The story is told like a mystery, where you slowly unfold what has happened to you, but with one key difference. At every step, after gaining just a little incite into yourself and your history, you question if what you have learned is true, or if it is just a representation of the truth, or if you are just completely insane. You play the game partly in the protagonists delusions and partly in what at least appears to be reality. In the delusions the protagonist takes on different personas, and this is not just a visual change these personas have unique powers and abilities that add some diversity to the gameplay.